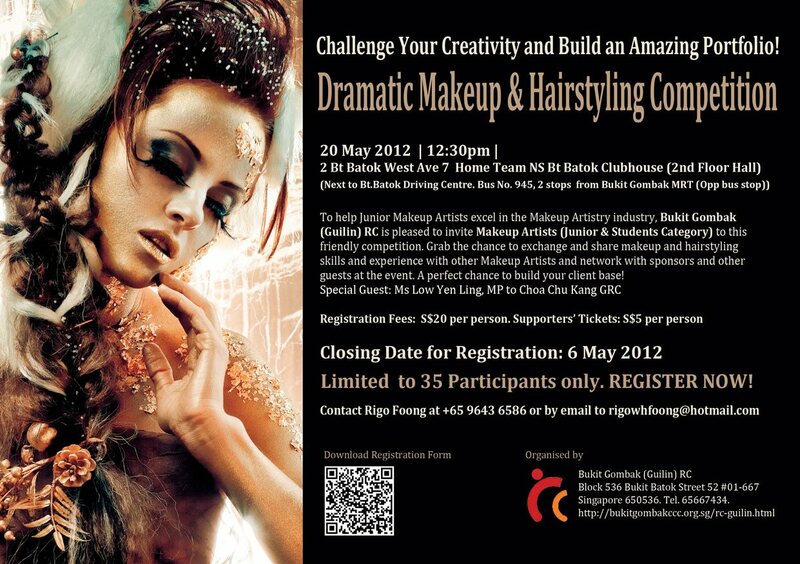 When I heard that Bukit Gombak Guilin RC is organising a Dramatic Makeup, I decided to offer assistance in helping promote the event to fellow Makeup Artists in Singapore. Afterall, there are almost no such opportunity for Makeup Artists, especially the junior ones, to shine. 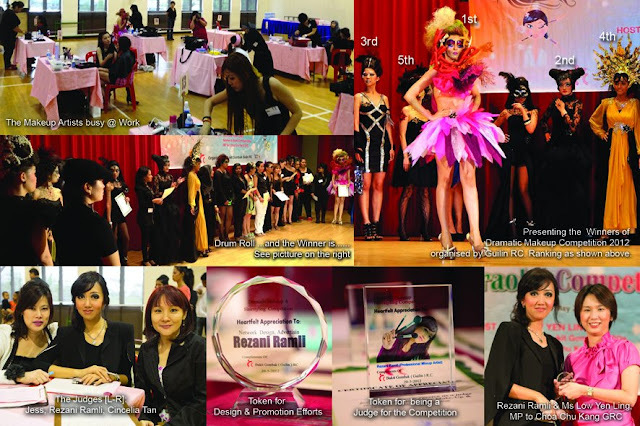 There are competitions organised by Makeup Schools, but they are all meant for their current or ex-students only. So, instead of just focusing on Makeup Artists in the west, the competition becomes open to Makeup Artists islandwide but subject to those with less than 2 years full-time makeup artist experience. 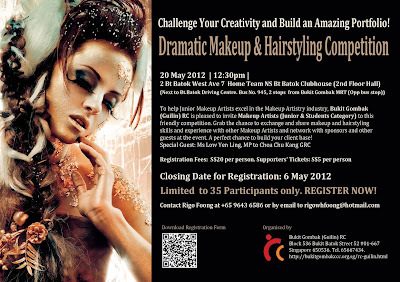 So I came out with the Poster - a dramatic one to entice promising Makeup Artists to come and participate. So as to be neutral, I did not use any photographs from my portfolio - rather, I purchase a stock image online for this poster. Rigo Foong, the coordinator for this event then invited me to be one of the three judges for this competition. I was deeply honoured by this invitation. Host for the event was Ms Low Yen Ling, Adviser to Bukit Gombak GROs and MP for Chua Chu Kang GRC. Overall, I would say all the Makeup Artists who participated did a fantastic job for making the competition so exciting. Hopefully this event will be organised again in year 2014.